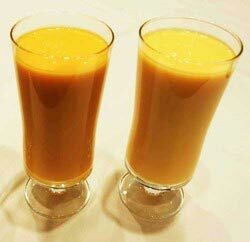 Totapuri Mango Pulp is extracted from Totapuri Mango which is oblong in shape with prominent beak like pointed end. Totapuri Mango Pulp contain nutrients such as vitamins A, E, C & B5 and is an excellent source of Vitamin A and C. Totapuri Mango Pulp antioxidant enzymes provide nourishment to body and increase the resistance power.. Screening & separation is done in order to make Totapuri Mango Pulp free from particles and impurities. Subsequent processing is done to make Totapuri Mango Pulp sterilized to ensure safety & composition as per international standards. Overall processing is by maintaining strict hygienic conditions throughout the processing line. Note: The final product adheres to the following conditions - the soluble solid contents of the mango pulp shall not be less than 14% m/m, as determined by the Refractometer at 20 deg C, uncorrected for acidity, and read as Brix in the International Sucrose Scales.